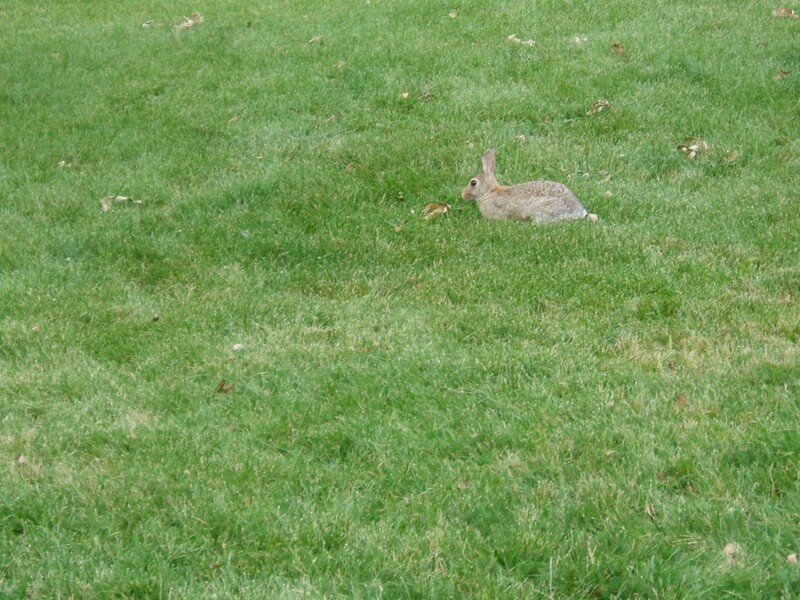 Caring for grassy areas in Ohio yards is a seasonal job, especially in spring and summer. Cool season grasses for Ohio include fine and tall fescues (Festuca arundinacea), perennial ryegrass (Lolium perenne), and the most popular Kentucky Bluegrass (Poa pratensis). Keeping these grasses trim, weed-free, and aerated allows them to spread lushly throughout the yard. 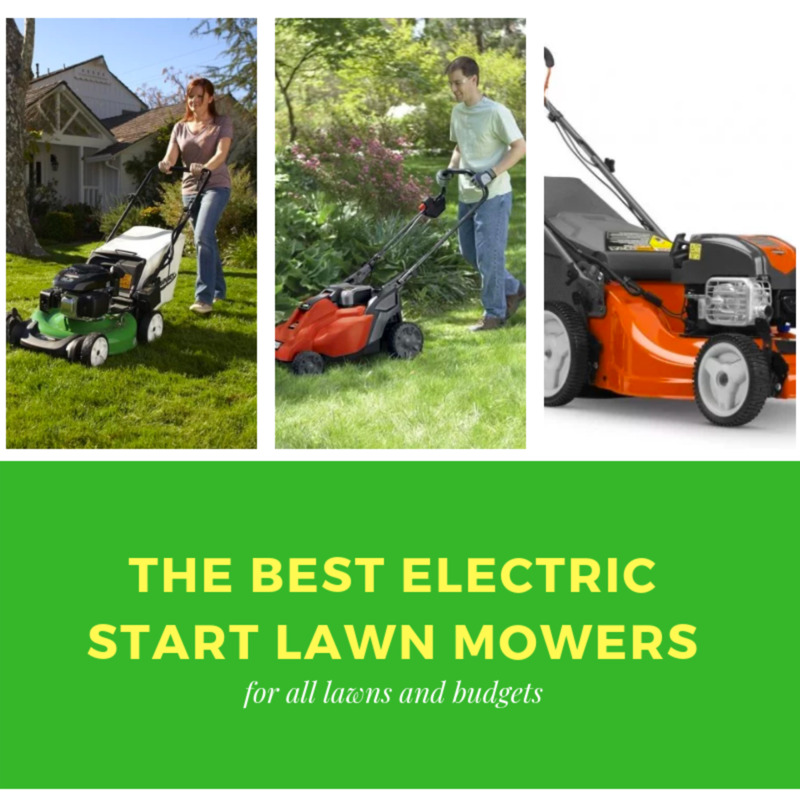 When setting the height on your electric or gasoline-powered mower, the cutting blades must be sharp and precise to the conditions of the grass. During drought or extreme summer heat, raising the mower blades will ease stress on the lawn; grass that is cut too short will not stay green because their root systems are too shallow. 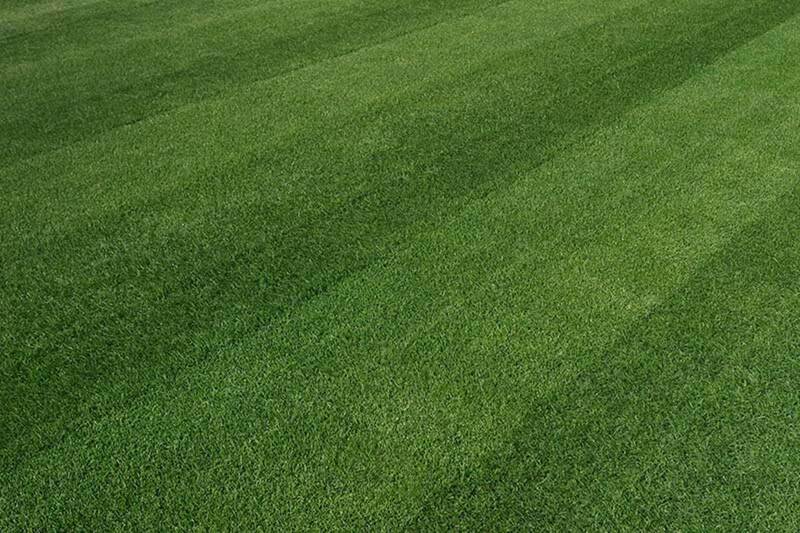 Kentucky Bluegrass, perennial ryegrass, and fine fescues prefer mower blades set to about 2 or 2.5 inches high during spring and autumn—tall fescues do well at 2.5 to 3 inches. 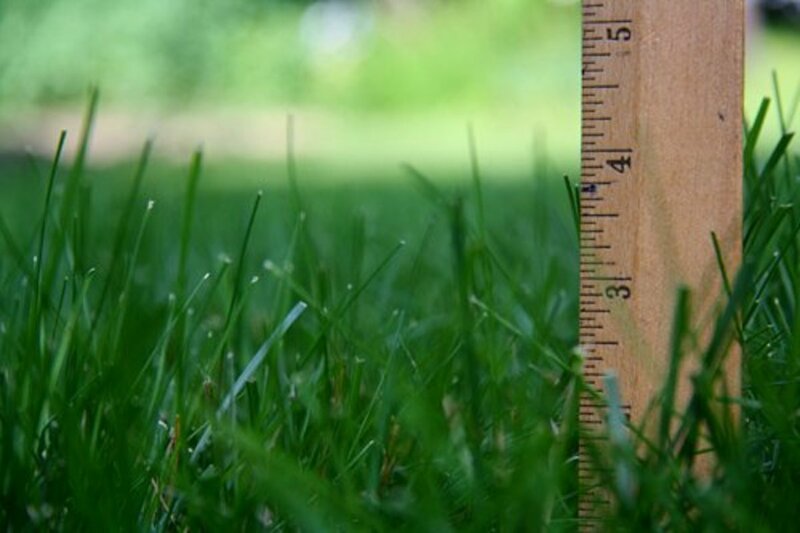 In the summer, raise the mower’s cutting height to 2.5 or 3 inches for all of Ohio’s cool-season grasses. Cutting the lawn twice a week is OK, especially when rain spurs the grass to grow another inch (or less). You’ve seen the straight or diagonal patterns in large yards and athletic fields; there’s a reason for that—changing directions every few mowing sessions makes grass easier to cut. 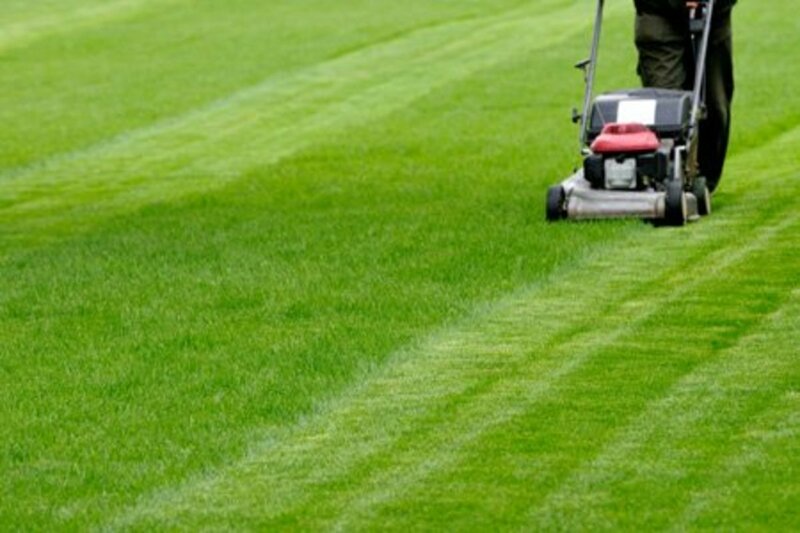 Mowers perform better on dry lawns but don’t wait until grass is completely parch; it will be too high to cut (especially if continuous rainfall and subsequent growth throws the sessions off schedule). 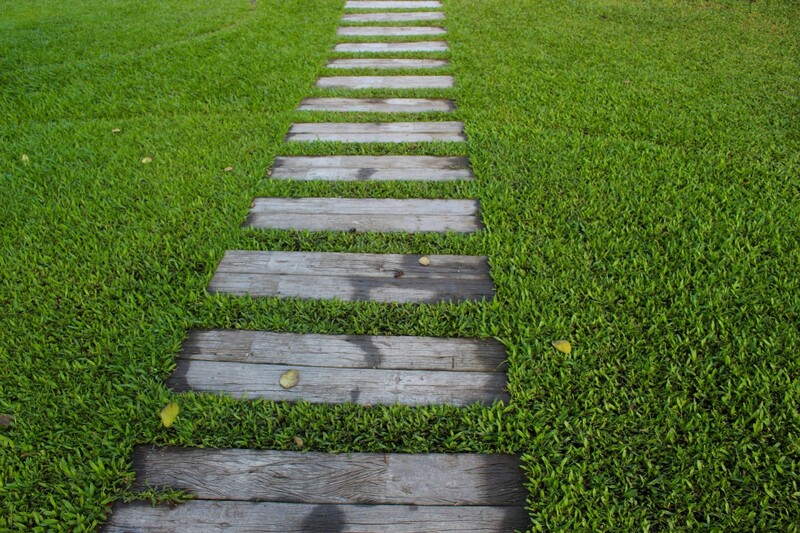 With a lower cutting deck, you can mow the lawn in autumn if the grass is still growing. 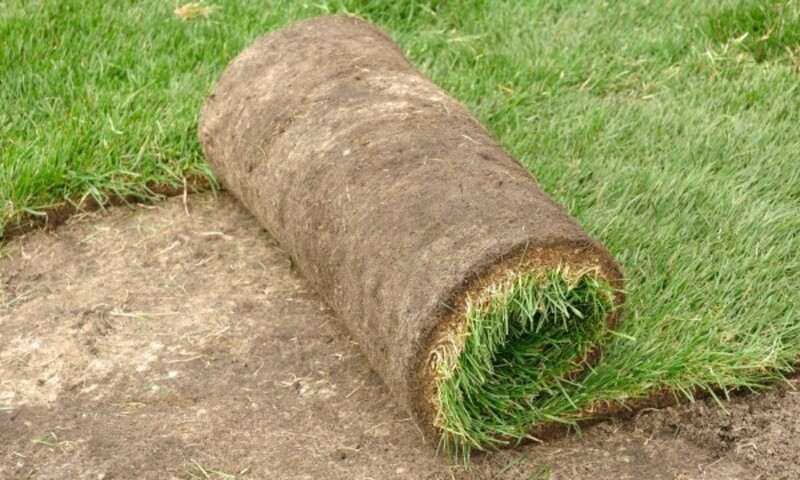 Leave the grass clippings where they fall; the mulch allows nitrogen, phosphorus and potassium to soak into the turf. Sharpen mower blades every spring before growing season. 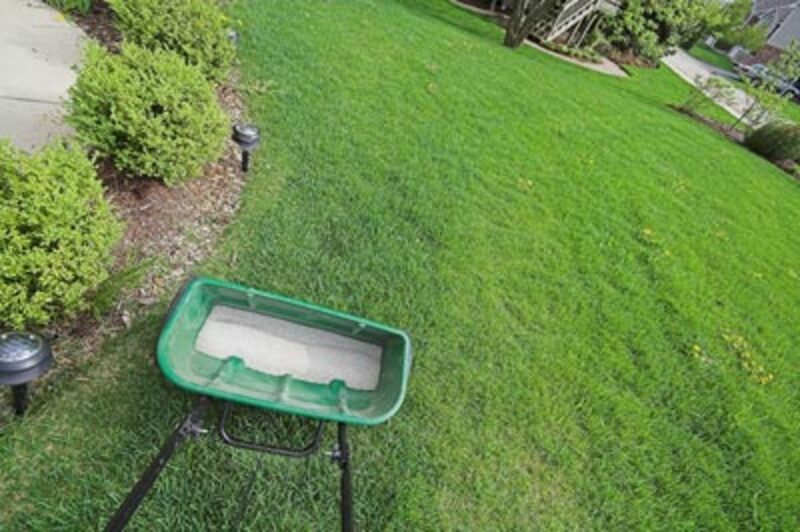 Choose the right kind of fertilizer and dosage for your soil's grass. 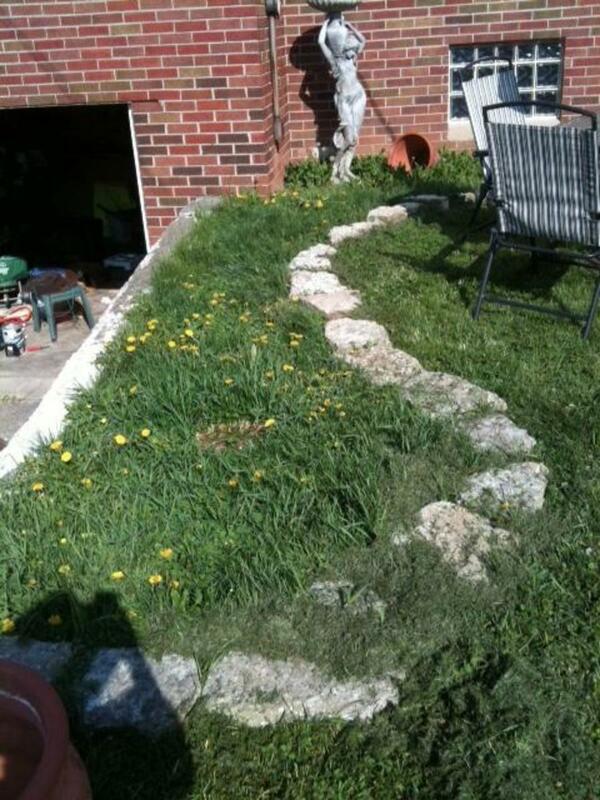 Grass needs fertilizer to stay lush and green. Ohio soils have various acidic levels but the ideal pH range is between 6.0 and 7.0, says Ohio State University Extension. Test the soil before buying commercial fertilizer (a 20-10-10 solution contains measured portions of nitrogen, phosphorus and potassium). Mixtures of 3-1-2, 4-12 or 5-1-2 are best for most lawns—depending on the northern, central or southern areas of the state. 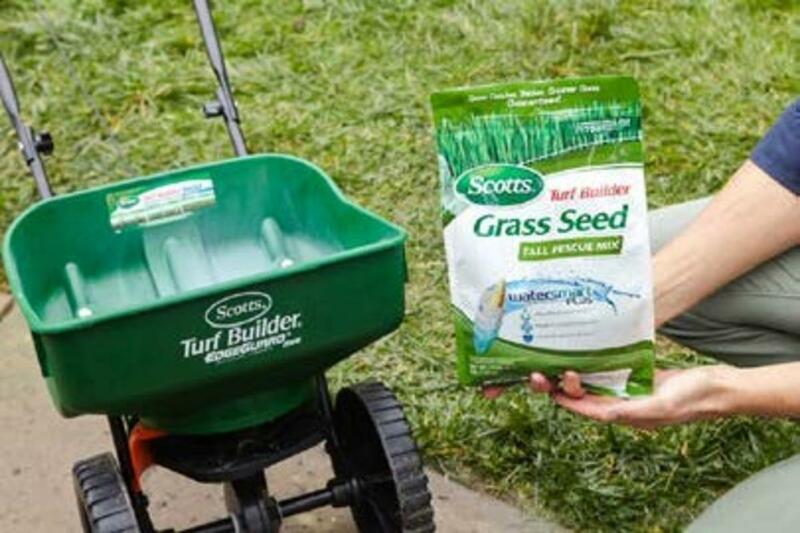 Fertilizing in early spring and summer is normal, however, doing so in August to December can prevent chemical burns and disease—especially when using slow-release chemicals pellets over dry grass. Feed the lawn every 8 to 10 weeks and water thoroughly. Broadleaf control herbicides are affective on many types of weeds, depending on the lawn grass. Post-emergent herbicides are meant for tall and fine fescues, Kentucky Bluegrass and perennial ryegrass; chemicals include MCPP (in liquid and granular form) and dicamba, 4-DP. Apply post-emergent herbicides in the early spring and first couple of weeks in June, also in September or October. These chemicals do not keep new weeds from growing but they will kill existing ones. Thatch is a tangled, rotting, dying vegetative mat of roots, stems and rhizomes that lays above the soil. Resembling a thickly woven carpet, thatch kills embedded grass root systems and prevents new blades from emerging. When bluegrass and some fescues develop thatch of more than ½ inch, they cannot receive water and nutrients. Control thatch by raking, mowing and fertilizing lawns on a regular schedule. Growing in moist areas where grass does not spread, moss (Bryophyta), liverworts (Marchantiophyta), and hornworts (Anthoceratophyta) are tiny plants with no vascular tissues. They grow on trees and rocks but can also spread to partially-shaded yards. Pruning trees to allow sunlight through their canopies, improving soil drainage to keep water from pooling, and raking lawn grass will help control growing moss. 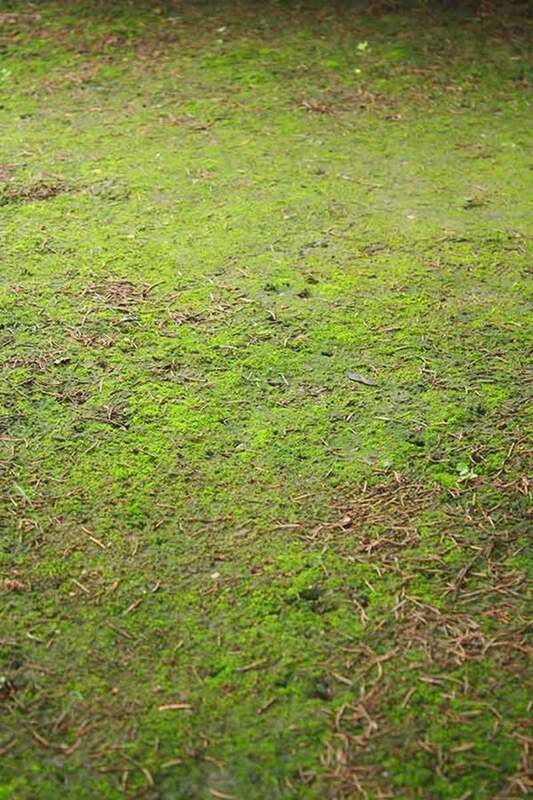 Chemicals may be somewhat useful for controlling actively spreading moss—copper sulphate and ammonium in particular—but not for dormant plants. Whether acidic or alkaline, testing Ohio yard and garden soil determines fertility and the amount of nutrients needed to help plants thrive and survive. Adding manure, fertilizers, mulch, compost, sulfur or lime will alter soil alkalinity. Knowing the pH balance of your yard (and garden) not only lets you choose the right kind of fertilizer, but it will keep unnecessary chemicals from draining into groundwaters. Turfgrasses in Ohio grow in slightly acidic soil; with a pH between 6.0 to 7.0. 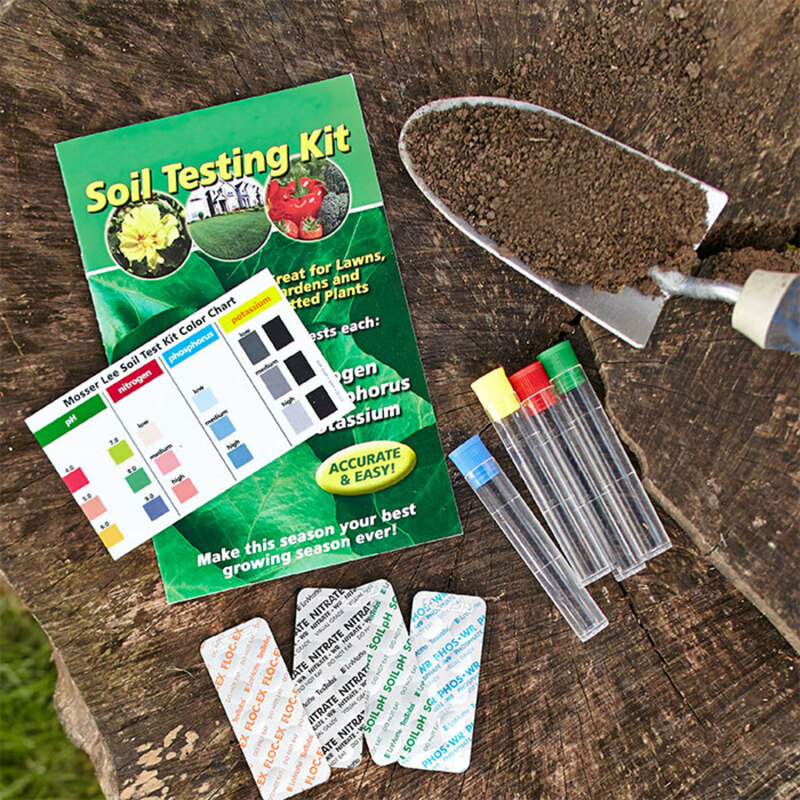 For “do it yourselfers,” there are sampler units for inserting directly into the soil (available online and in garden stores) or you can obtain a sample of dirt to send into a testing lab. Contact your local cooperative extension service for more information on soil testing; there are several laboratories in Ohio. Cool-season grasses are recommended for Ohio yards and athletic fields. Kentucky Bluegrass seeds usually germinate within 10 to 21 days. KBG is a good choice for filling in bare spots but it takes a few months to spread and thicken. It is disease-resistant and prefers direct sunlight, although it is suitable for shade and partially-shaded areas. 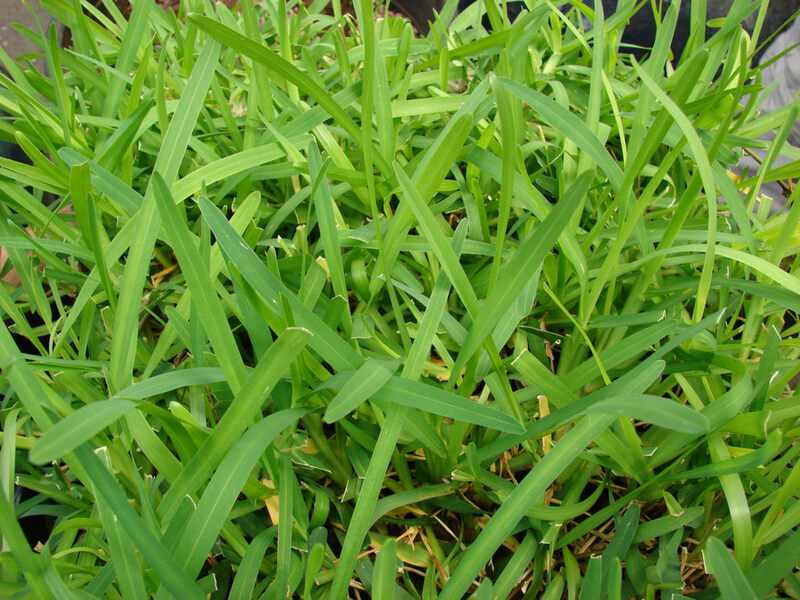 Tall Fescue grass seeds have a germination period from 10 to 14 days. Drought and heat tolerant, tall fescue can handle Ohio’s hot summers, especially in the month of August. Tall fescue has a wide, coarse grass blade that mixes in well with bluegrass to create a lush, thick carpet in shade. 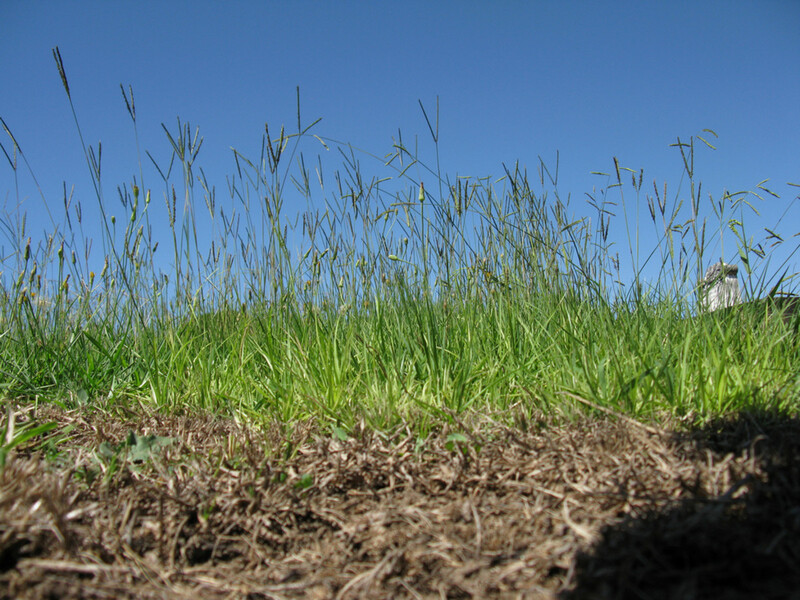 Perennial ryegrass germinates quickly; within 3 to 5 days. Thin blades are heat and cold resistant. The turf handles drought and dormancy well. Fine fescue is often used alone or in seed blends; it germinates in 5 to 7 days and thrives in shaded locations. Ohio is in United States Department of Agriculture Plant Hardiness Zones 5 and 6. Planting grass seeds directly into the ground is done best when the soil is at 50 to 65 degrees Fahrenheit. Planting grass in Northern Ohio is best done in mid August to mid September; giving seeds time to germinate before the first frost (average date September 30th). Northern Ohio includes Akron, Cleveland and Toledo. In Central Ohio, plant grass seeds from September 1st to October 15th. Delaware, Franklin, Licking, Marion and Pickaway are a few of the counties in this area. In Southern Ohio, the time to plant grass seed is in September, up until the end of October if the weather holds. Hamilton, Ross and Scioto counties are in this region. 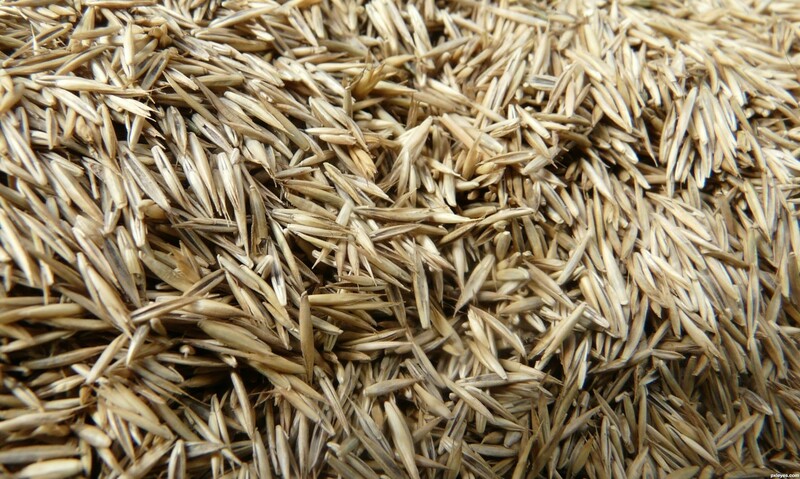 Many kinds of grass seed are on the market. Consult your local garden store to determine the best seed for your lawn. Test the soil temperature to be sure it is at 50 to 65 degrees Fahrenheit and pH level at 6.0 to 7.0. Smooth out the soil to remove debris, rocks, and dirt clumps. Spreaders will distribute the seeds evenly. Rake about a quarter inch of soil over the seeds and then fertilize with recommended products. Place a thin layer of straw over the soil. Saturate the straw and soil well; water the area a couple of times a day while the seeds germinate. 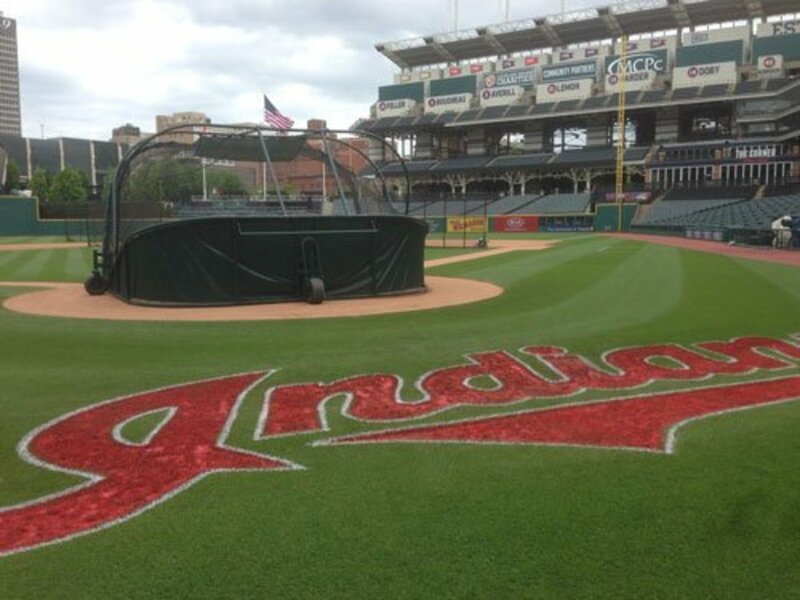 The Cleveland Indians grounds crew uses a blended strain of Kentucky Bluegrass at Progressive Field. I really liked this article, it gives the specific's on what grass should be planted where. When reading I learned, that the heights are also important, as well the direction of the mower. Very informative.